A friend of mine once told me a story about how her young daughter took a glass of soda into the bathroom after her mother told her that she could not drink it. I don't know whether or not she drank it but that was not the point of the story. As I am learning more with each day that my older son is in school, parents cannot control what their children eat when they are out of sight. What's a parent to do? Encourage a love of healthy food and hope that they will choose it (at least sometimes). And let's face it, even though it would have probably been great if unhealthy food did not exist, the fact is that it does and kids love it! So we need to learn how to balance it all out. One way you can do this is to not have soda, juice, or chocolate milk around the house, instead having it less often outside of the home. The kids will get so much of this stuff elsewhere that you need not feel you are depriving them. In fact, they will feel like it is a special treat when they do get it! Offering healthy options at home, will hopefully mean that children will acquire a taste for it and choose it even as they get older and go out on their own. I find that Ellyn Satter's approach usually (but not always!) works to help achieve a healthy approach to food and feeding: that the parents decide what and when to offer in terms of food, and the child decides if and how much. That means that if you decide to offer soda and fruit juice at your table, your child may decide to drink an entire liter of the sweet, addictive beverage. That is why I like the alternative of not to offer it at all. Even fruit juice? MyPyramid recommends that children eat about 1-2 cups of whole fruit per day depending on their age and activity level. Store-bought 100% fruit juice can comprise up to half of that amount as it does not offer as many nutrients and fiber as the whole fruit. According to a recent study, empty calories make up 40% of caloric intake for children between the ages of 2-18 years old. What are empty calories? Food that provide calories (macro-nutrients) but none or minimal amounts of micro-nutrients (vitamins, minerals, phytochemicals). Soda, fruit juice, and whole milk were 2 of the top 6 empty calorie foods. In this instance, characterizing fruit juice and whole milk as "empty calories," is a misnomer, but nonetheless, Even 100% fruit juice and milk need to be limited since drinking too much leaves room for little other food. Fruit juice, like soda, is also very high in carbohydrates, making it easy to gain weight and extra empty carbohydrates put the body at increased risk for cardiovascular disease. So what is one thing you can start doing today to help your child choose healthier beverages? Encourage a love of plain and flavored water and seltzer. We have been buying flavored seltzer ever since we decided not have soda in the house. 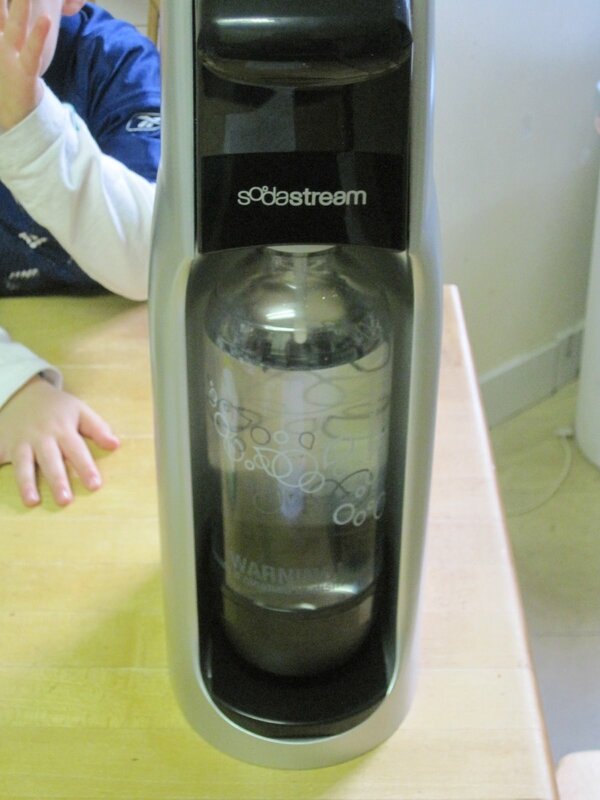 After 7 years of paying for many cases of seltzer, I wrote to Sodastream to inquire if I can have a seltzer machine to review for this blog and they agreed. They sent us their basic Fountain Jet model, 2 BPA-free bottles, 1 carbon-dioxide canister, and lots of flavors. When I wrote to them, I told them the purpose was to suggest seltzer as an alternative to soda and juices. However, when the package arrived, it came with 8 different soda concentrates and only 3 seltzer concentrates. The box of soda flavors is sitting in my closet as I decide what to do with it. Nonetheless, the seltzer machine is working out great and both kiddos enjoy helping us make it and marveling at the sound and bubbles of the process. They also love that bubbly sensation on their noses with the first few freshly-made cups, which gets them excited about it too. And choosing which flavor to add and helping pour it in, is also fun for them. Another benefit, but also an added cost, is that you can use filtered-water from you home filter. See my previous post here about filtering your water. I will also be writing soon about the importance of filtered-water in the weeks leading up to getting certain vaccinations. My biggest gripe with the Fountain Jet model that they sent us is that the bottle is difficult to screw in since the "walls" of machine are close to where the bottle connects. Newer models, called the "Jet" and the "Genesis," do not have this problem. You also need to wait until the water is really cold or it doesn't quite work well-enough. But those two gripes aside, the machine is a great addition to our counter-top and keeps everyone filled up on no-calorie and no-sugar drinks! Here is the newer model without the "walls"
We LOVE our seltzer maker. It is so much fun and it makes delicious seltzer. Another added benefit is that it is good for the planet, since you are not recycling so many bottles. 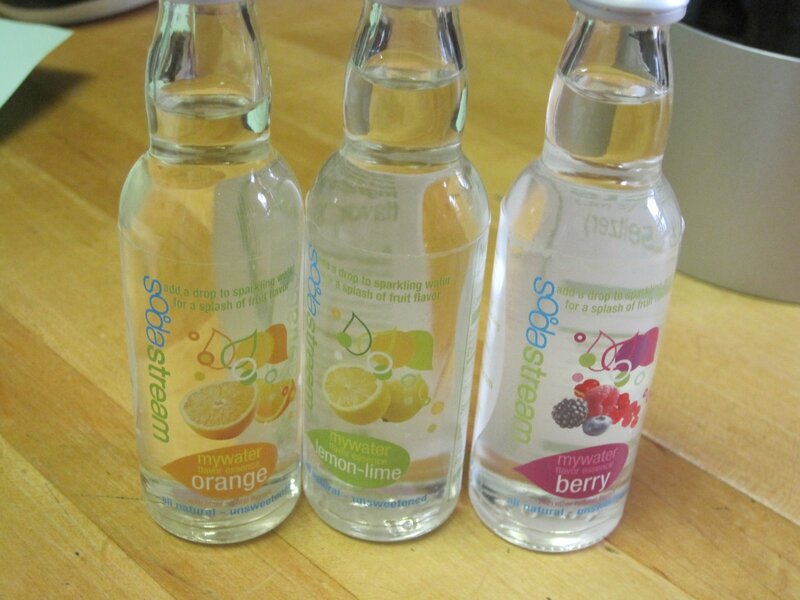 Don't forget to pay attention to the expiration date on the bottles from soda stream. They recommend you replace them after a few years. I always keep bottles of water in the fridge, waiting to be turned into seltzer when the mood strikes. Rebecca, you are so right! Besides being healthy, it is better for the environment too :) Imagine all those seltzer bottle I recycled during 7 years! And yes, there is a two year limit on the bottle, likely due to plastic leakage. We also have ice cream on Sunday. I didn't realize that whole milk is a source of empty calories - what kind of milk do you suggest giving children if not whole - 2%? 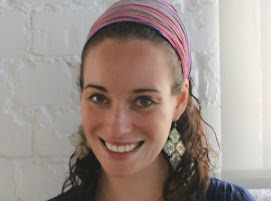 Enjoy Birth- I love the Soda Saturday and Ice-cream Sunday idea! We have something similar here. Shif- I actually do not consider whole milk a source of empty calories, but that is the way the study defined it b/c of the fat content and the fact that milk is mainly high in only one mineral (calcium). However, I think whole milk is the preferred choice of milk for a few reasons which I will discuss in another post, but mainly b/c the fat keeps you full, stabilizes blood sugar levels, and can even balance certain hormone levels. Plus, young children only need 2 or 3 dairy servings and I don't think the fat content of those servings is what is going to matter- it's fat from snacks and cake and possibly eating excess dairy products that displace other food. More to come, great question! Hi, Thank you for your anti-soda encouragement. I was raised on Diet Coke, and now in light of all the research I have done to educate my patients (and parents) I am trying to cut it out completely. The only time I "crave" it is Friday night, and I use seltzer with 100% fruit juice. How is the flavored seltzer flavored?